Bangalore, the outsourcing capital of the world and India's very own Silicon Valley continues to top the offshoring league even after 25 years of outsourcing. The city of Bangalore is the backbone of India's $60.5 billion outsourcing industry and has carved a name for itself as the "technology hub of the East". When it comes to outsourcing or investment, Bangalore is the first and foremost choice for most global organizations. Bangalore, the face of the outsourcing industry in India has grown into an acclaimed outsourcing hotspot because of its ability to provide outsourcing services in diverse areas. The Silicon Valley of India has moved from delivering volume based work to IT, ITES, KPO and other technology related services. With over 25 years of experience in outsourcing, Bangalore is the only city in the world that offers global technology companies a unique combination of talented resources, large network of vendors and partnership opportunities. If your company is looking to outsource technology or KPO related services, then Bangalore is the best outsourcing location. The reason why Bangalore is the on the top of everyone's outsourcing list is its huge pool of skilled, and technologically savvy workforce. Bangalore, being India's major outsourcing hub, has drawn the best talent from across the country. You can find an apt vendor in Bangalore for almost any service that you wish to outsource. Outsourcing to Bangalore can provide your company with fast ramp-ups at a fraction of your current operating cost. Shyam Banerji, the former head of software development operations, Texas Instruments, India and now the head of his own technology firm, says "Bangalore has its own legacy, like some other very famous places". Texas Instruments was the very first multinational company to set up operations in Bangalore in the year 1984, thereby marking the start of an outsourcing boom. "Legacy is a difficult thing to overlook in multinational corporation boardrooms even when cheaper options become practical" says Banerji. Bangalore's legacy and fame has made it a benchmark outsourcing location and a source for innovation. Sandeep Dhar, CEO of Tesco Hindustan says that the city of Bangalore is a safe bet for many global companies who are looking to outsource because of its ecosystem and proven reputation. Over the years, there has only been an increase in the number of foreign companies setting up their base in Bangalore. Companies like IBM, Intel, Google, Yahoo, Accenture and Cisco run their critical business operations from Bangalore. Choose Bangalore as your outsourcing destination and tap in to the proven expertise that only the Silicon Valley of India can offer. The outsourcing industry has transformed Bangalore from an Indian to a cosmopolitan city with several IT parks, international schools and quality housing facilities. Ajay Kela, former COO and managing director of outsourcing firm Symphony Services says that these factors have made Bangalore an attractive destination for the employees of multinational firms. Bangalore has also always been the number one choice for expatriates in India. When you visit Bangalore for outsourcing, you will feel at home in the cosmopolitan atmosphere of the city. The city of Bangalore has often been criticized for its frequent power cuts, constant traffic congestion and other urban problems. The local government has finally taken steps to improve the infrastructure in the city by including a metro rail service, building a high-speed rail link to the Bangalore international airport, setting up elevated expressways and constructing more ring roads. In order to create more space for IT companies, the government is also developing an integrated suburb in north Bangalore. You name the service and you can outsource it to Bangalore. Outsource2india is one of Bangalore's leading and largest service providers of IT, ITES and KPO services. Outsource2india has over 20 years of experience in providing global multinationals with quality solutions at a competitive price and within a fast turnaround time. Partnering with Outsource2india can give you access to the skills of Bangalore's talented professionals. 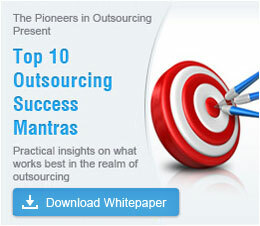 Tap in to the advantages that only Bangalore offers, by outsourcing to Outsource2india. Get in touch with us to get started on outsourcing to Bangalore.